Japan’s Toshiba Corp plans to sell part of its chip business as it aims to recover from a $1.2 billion (roughly Rs. 7,973 crores) accounting scandal, three people familiar with the matter told Reuters on Saturday. The electronics conglomerate has started accepting bids, with early interest shown by the Development Bank of Japan Inc, said the sources, who declined to be identified because they are not authorised to talk to the media. The state-owned bank has already invested in Seiko Holdings Corp’s semiconductor operations. The sale would exclude Toshiba’s mainstay NAND flash memory operations, according to two people with direct knowledge of the matter and one person familiar with the discussions. On the block are businesses that handle system LSI and discrete chips, which are widely used in cars, home appliances and industrial machinery. The loss-making operations posted sales of JPY 330 billion ($2.78 billion or roughly Rs. 18,786 crores) in the year ended March 2015. A Toshiba spokesman told Reuters the company hasn’t made a decision yet on the sale of its chip operations, while a spokeswoman at the Development Bank of Japan declined to comment. 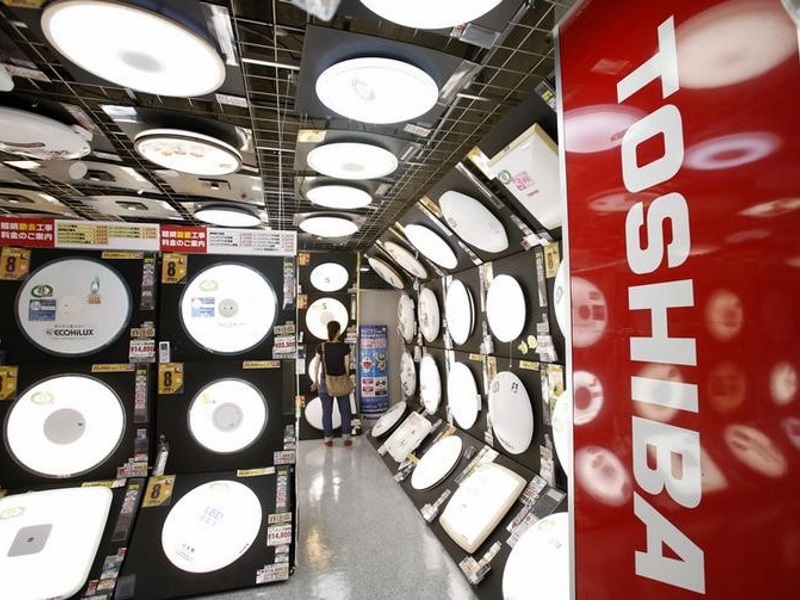 Following the accounting scandal, Toshiba has been focusing on nuclear and other energy operations, as well as its storage business, which centres on NAND flash memory chips used in smart phones. The Tokyo-based company, which is selling off non-core chip operations, plans to invest heavily in its flash memory production capacity in Japan to better compete with South Korea’s Samsung Electronics Co Ltd.